Found this in a dumpster by my house. 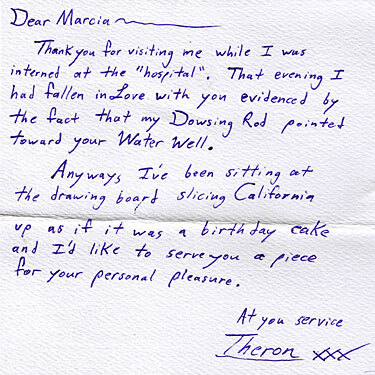 I really like Theron’s use of metaphor, and I’m curious as to what he means by “hospital”. I’d like to know what he means by slicing up California ad the drawing board. I’ll take Pismo Beach for my slice.